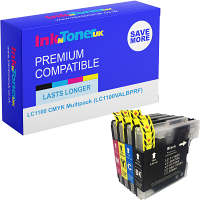 Brother DCP-J715w Ink Cartridges Pay LESS for MORE when purchasing your NEW Brother DCP-J715w ink cartridges and other relevant printing consumables via InkNTonerUK! We provide ALL of our customers with the BEST in terms of both the service and merchandise we deliver! Why go anywhere else to procure your NEW Brother DCP-J715w ink cartridges when InkNTonerUK offer all you could wish for from them. Being thoroughly tested for quality before being put up for sale ensures both us but predominantly you (the customer) that your NEW Brother DCP-J715w ink cartridges, and any other cartridge you may purchase will generate the utmost high-quality prints/scans and copies EVERY TIME, never leaving a dissatisfaction in its results! 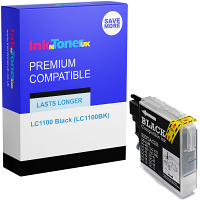 InkNTonerUK offer the utmost affordability, frequently probing the market to seek out our leading competitor rates, then setting our prices in order of competition with these You will be receiving constantly GREAT VALUE every time you purchase your NEW Brother DCP-J715w ink cartridges and other relatable printing consumables you may need. 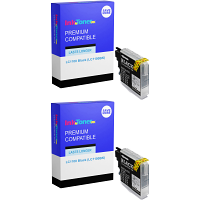 When using your NEW Brother DCP-J715w ink cartridges you will be generating an eminently fine standard of print, at speedy rates to provide a constructive benefit when utilized in the workplace. You have capability of printing for a range of diverse intentions, on a multiplicity of differing media types, primarily INCLUDING; Plain paper, Inkjet, Glossy & Transparencies... The above doesn't leave you with much for contemplation. 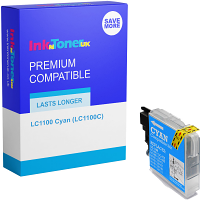 So join the extensive and forever-expanding and constantly gratified clientele that InkNTonerUK have developed, and purchase your NEW advantageously beneficial Brother DCP-J715w ink cartridges from us today and you won't look back in regret on the decision! 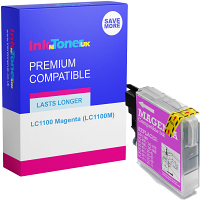 Finally, to secure InkNTonerUK as your supreme source of acquisition, getting directed to us whenever the time comes for purchase your NEW Brother DCP-J715w ink cartridges with ease, the InkNTonerUK team suggest that you 'Bookmark' this page NOW, for a simple 'One-Click' route EVERY TIME!